Happy Tuesday all! I am just finished of my unpacking and reorganizing before I have to start packing again for Pennsylvania next week. 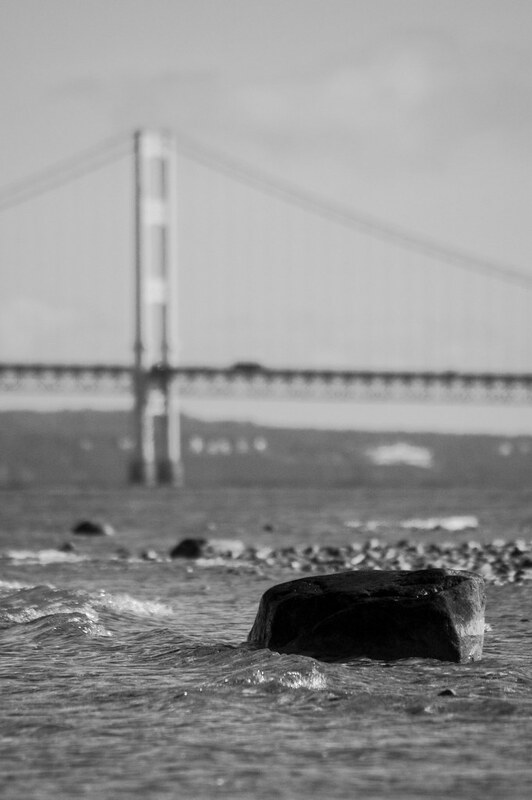 I am pleased to share this recap of yet another week up at the Straits Of Mackinac! 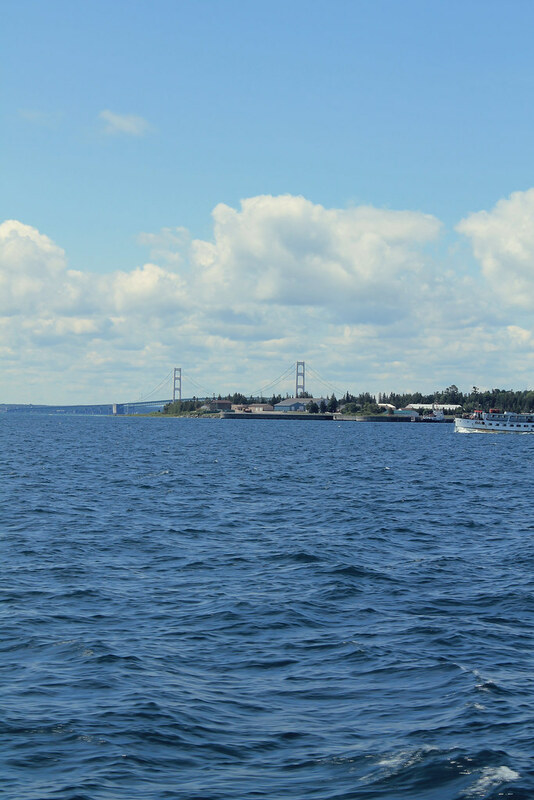 One of the best things about going to Mackinac Island, is taking the Ferry! There are three different ferry services you can choose to take to the Island, and they all have a traditional “rivalry” with each other. Due to the hotel package we purchased, it also came with free tickets on Sheplers which boasts getting you to the Island in an easy fifteen minutes! The ferry ride also was an opportunity for many gorgeous pictures of the bridge. I never tire viewing it! 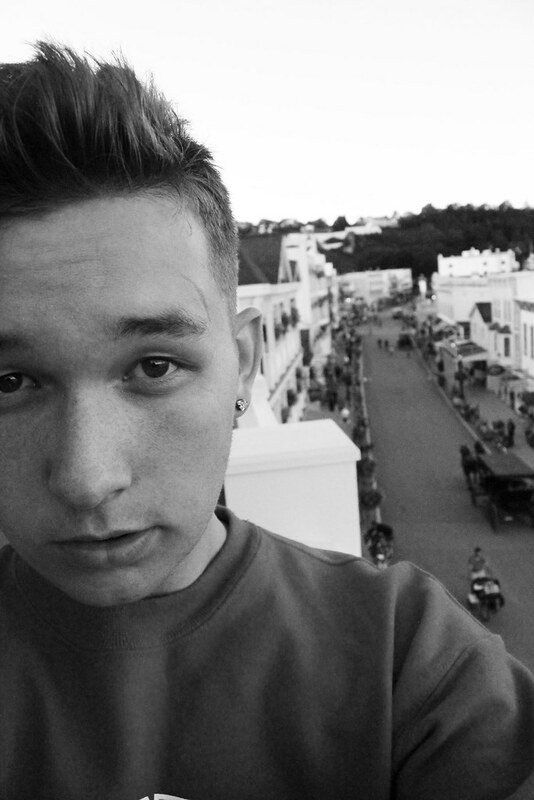 The bike ride around the Island was simply delightful! It was not too hot, nor too cold, and the skies were clear enough to make for pretty views. I hadn’t gone around the Island on a bike in a few years so there were some new changes to the scenery that kept my eyes interested. 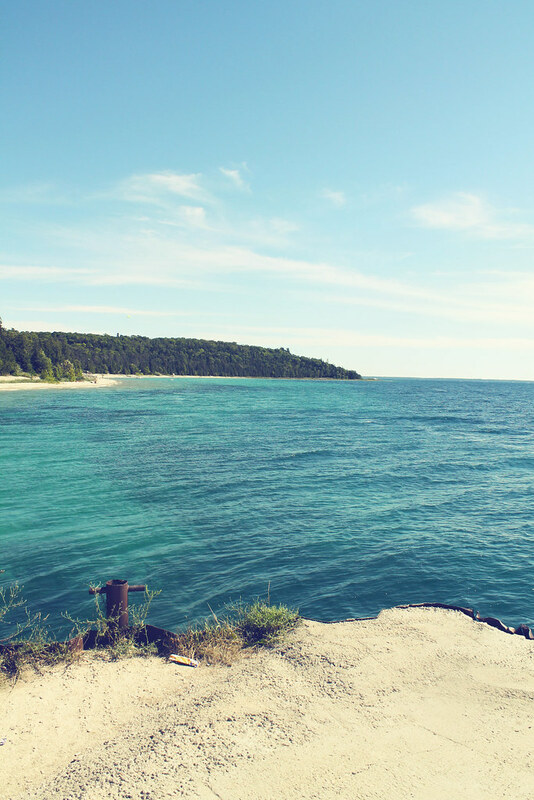 The views on the great lakes of Michigan don’t get enough credit! The hotel we stayed at, the Bicycle Inn & Suites had awesome views of the main stretch on the island. I needed a sweatshirt for the evening but the sunset on the island is spectacular, and nightlife on the island is so peaceful. Not all the crowds of tourists. 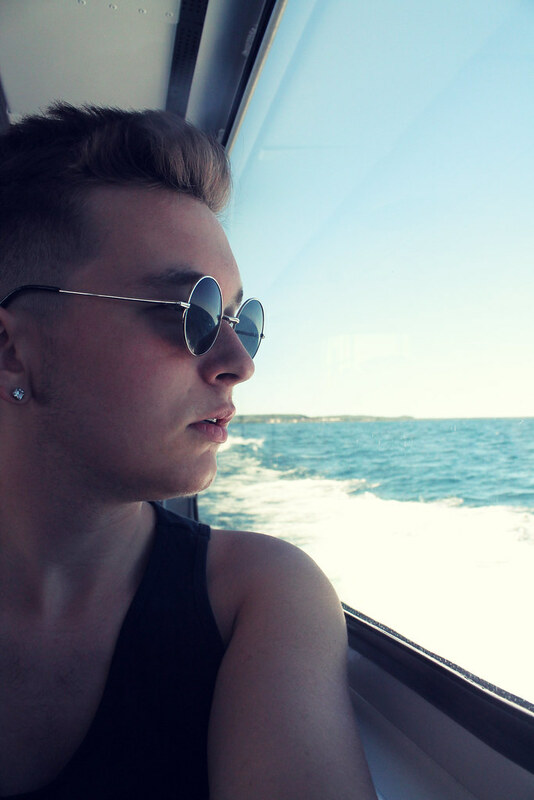 I sat up on the deck for the ride back to the mainland the next day after shopping and more sight seeing. I got some more fantastic shots of the bridge and the boats as they crossed back and forth to the island. 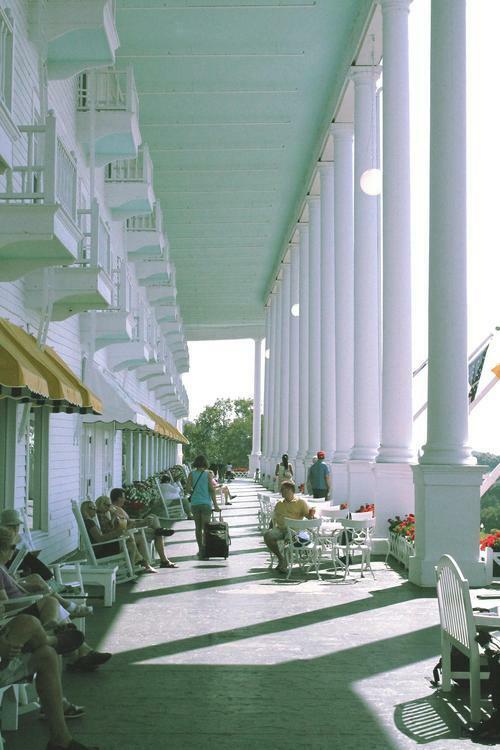 It was indeed one of my favorite stays on Mackinac Island! Hello all! I am home from another fantastic week in Northern Michigan. 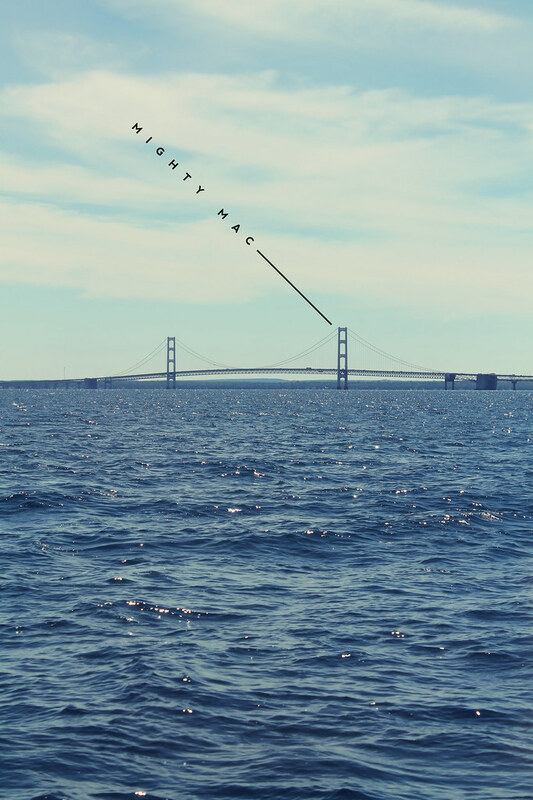 I spent the past week up North, and the weekend before that in The Straits Of Mackinac of Michigan. 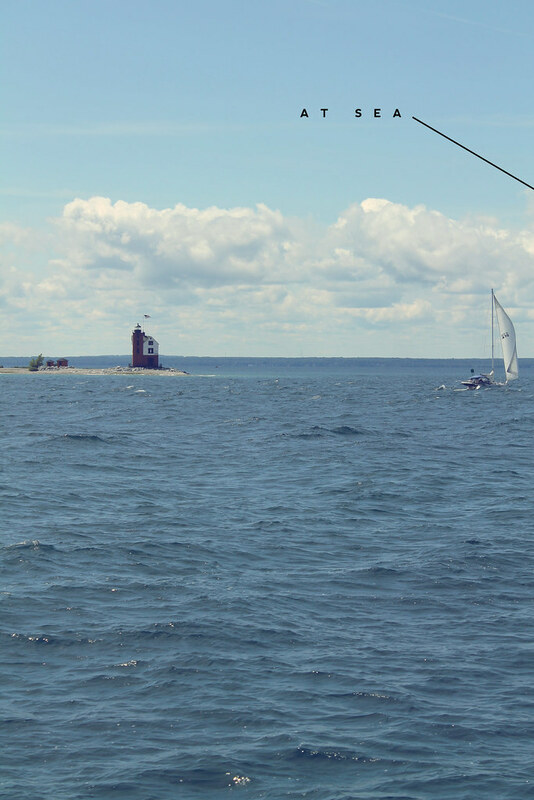 You should expect a full recap of the Mackinac trip tomorrow on the blog. 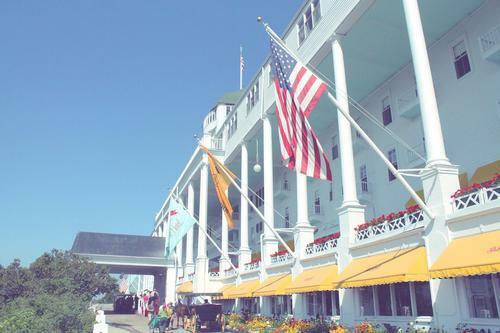 +Anyways, our family took the ferry over Saturday afternoon to Mackinac Island, a large tourist destination for Michiganders, and even some from surrounding states. 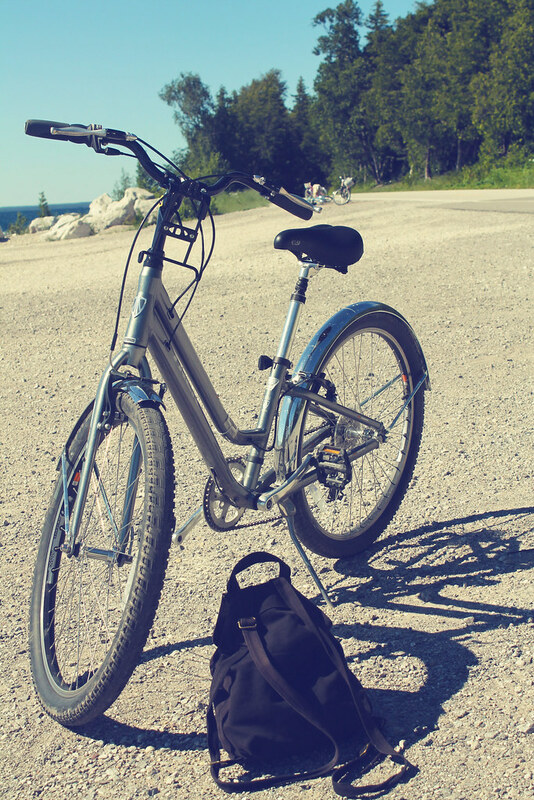 Once settled into the Bicycle Inn & Suites, our family partook in a classic Mackinac Island amenity, biking! Our family hasn’t done it the past couple years since it’s the same drive every year and we go every year and like to try new things every year, but this year we decided to refresh our brains of the sites the Island has to offer! +About halfway around the island, I have always noticed this dock that usually had one small boat attached, but this time no boats. 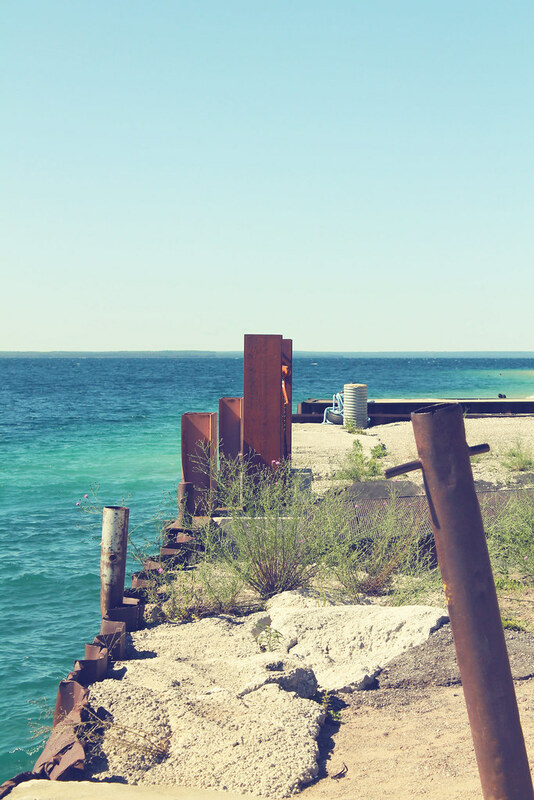 This was the reason I felt less of a trespasser if I walked on the dock for pictures. This is probably one of my favorite spots around the Island now! You get views of the coast, bridge, and crystal blue water! +Now, for the outfit I wore just a simple tank top and khaki shorts. With biking, and the heat up at the Island that day, it was the perfect simple outfit for outdoor activity, and I never felt overheated! +It’s that time of year again! 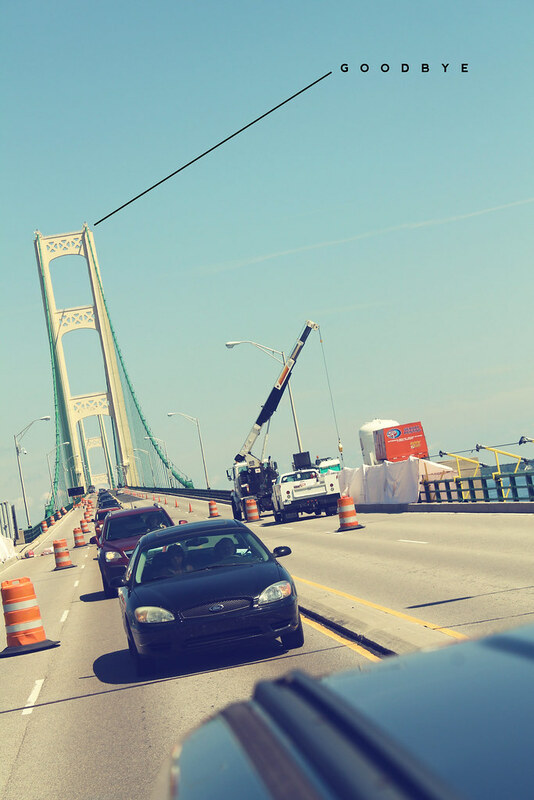 Every year, Jan’s side of the family and I make the journey on I-75 northbound to the Straits of Mackinac! I have been going since elementary school, and since I know I am getting older, my regulated annual trips to the UP are getting limited so I know I will bask in every moment. I can’t wait to listen to Rascall Flats as we cross the Mackinac Bridge, bike on the island, and take in breaths of good ole’ Yooper air! +If you are wondering what I mean by the term “Yooper”, it’s the name giver to those who live in the U.P. or Upper Peninsula. 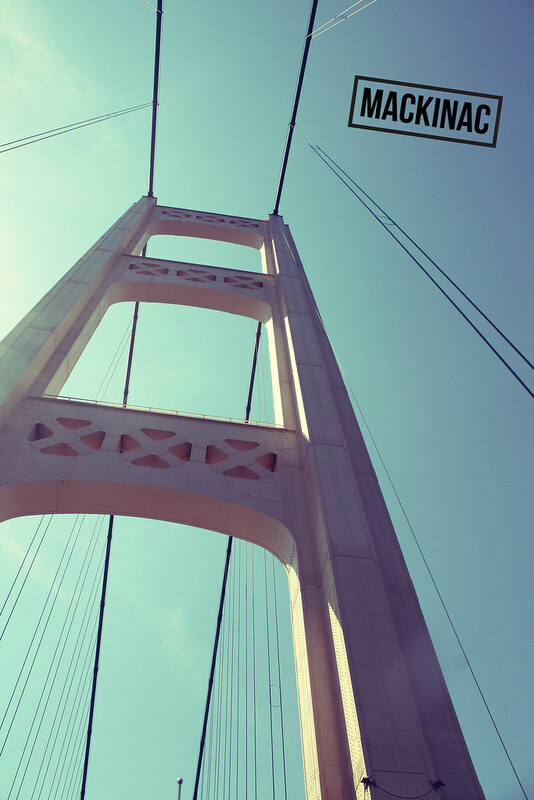 People of the Lower Peninsula of Michigan are known as “trolls” because we live “under the bridge.” So there is some little Michigan culture if you were wondering! Hello all! Well this past weekend was definitely cut short to illness, but I can say that I enjoyed the days that I was feeling more above the weather. I spent this past weekend in Northern Michigan. Most Michiganders from the U.P. would probably be irritated by that statement, but to most Michiganders anything North of Flint and Grand Rapids is considered “Up North” for travel. 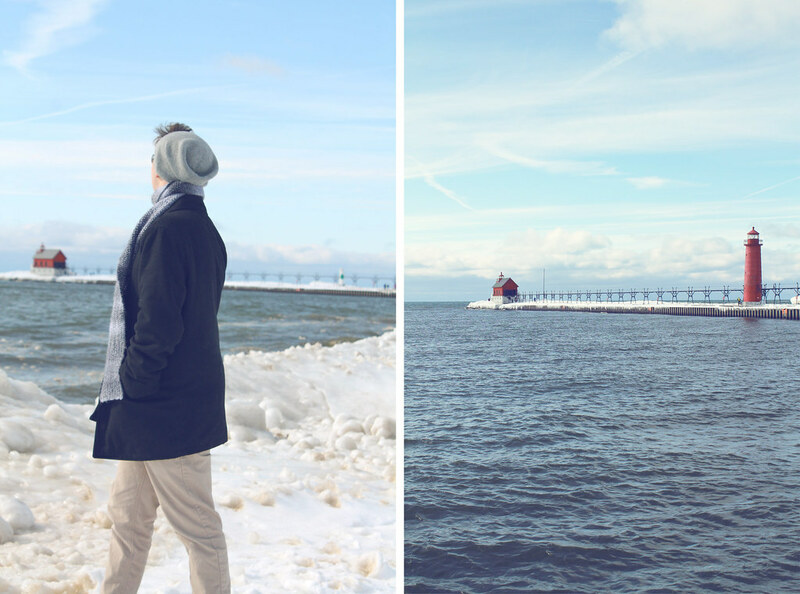 Either way, I spent the weekend up North for some thrifting, family time, and deep fried food! The first thing I did Saturday was went into Cadillac Michigan for some good ole thrifting. Some was higher end and where I got all my clothes were from the Salvation army! 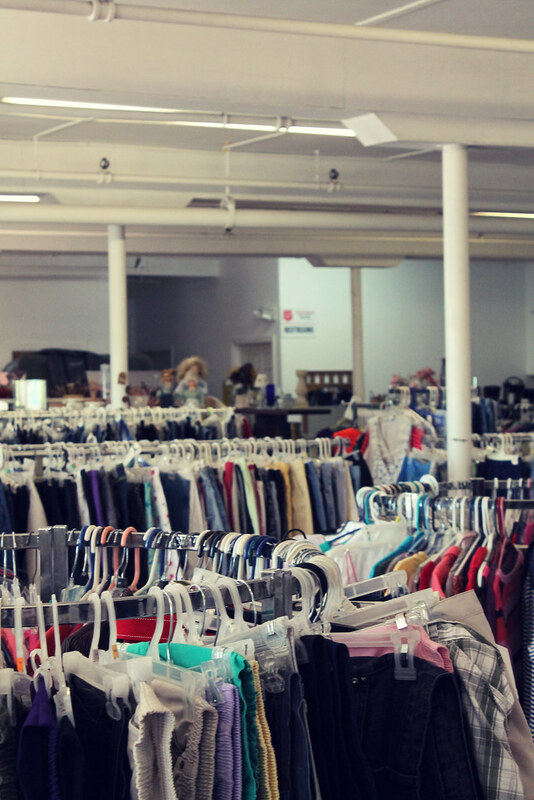 It was fun to look at the upscale thrift stores though. 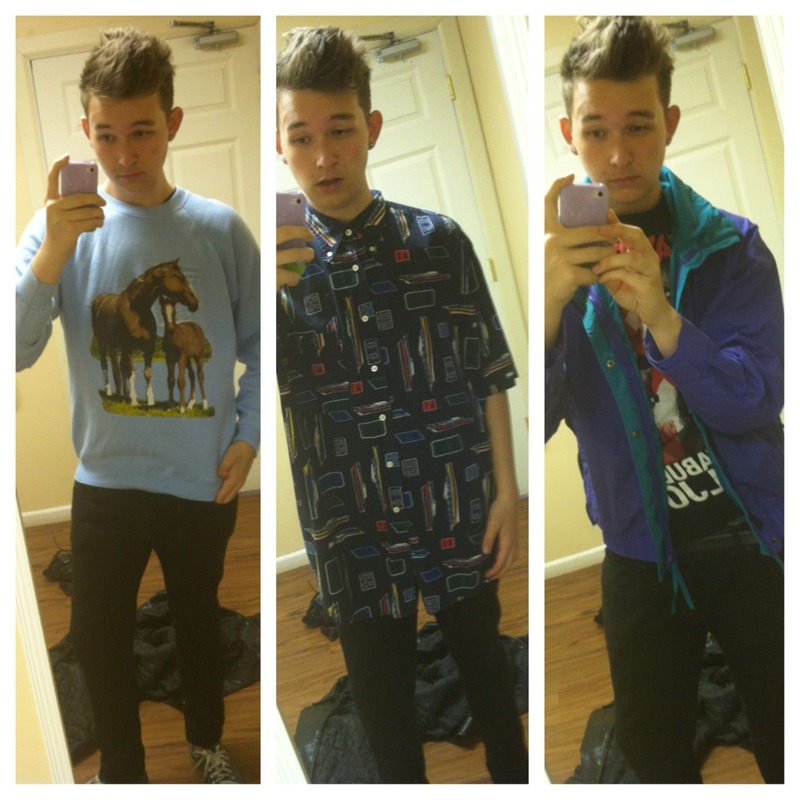 My favorite of these 3 picks was the horse crew neck which I wore to school today! One of my favorite consignment stops of the day was The Atomic Closet! Which had a lot of high end vintage items! My cousin Kate even picked up a dress from the place that looked amazing! If you like this kind of stuff I recommend checking it out if you’re passing through Cadillac! Have a good one readers! I spent yesterday fighting through the bitter cold to get a couple shots and view the waves crash on ice mounds along the Lake Michigan coast. 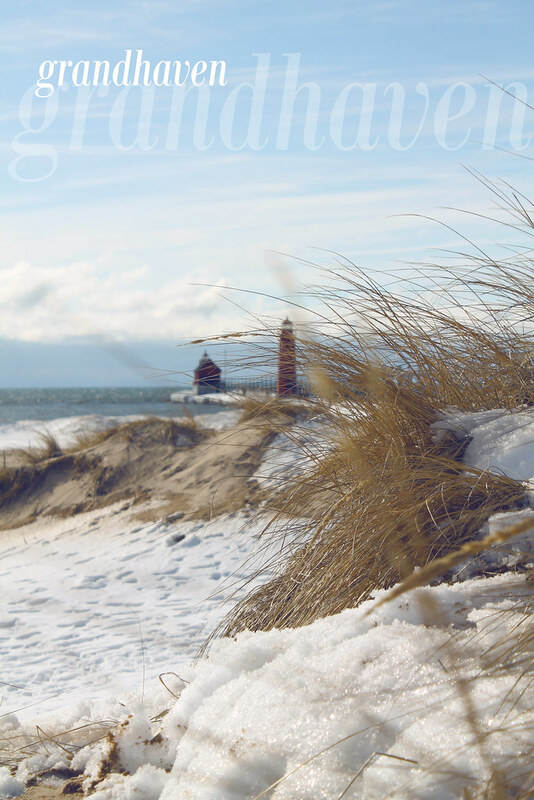 I have always wanted to see what the beaches of Great Lakes look like in the Winter and I finally got around to seeing just that! What I learned in this trip is that, no matter what the weather is, always prepare for 10 degrees cooler at the lake shore. My family and I started the day by introducing me to Donks, a small Mexican fast-food chain in Grand Rapids. Walking in, I already judged it as a poor attempt to be Taco Bell. Boy, I was totally wrong. 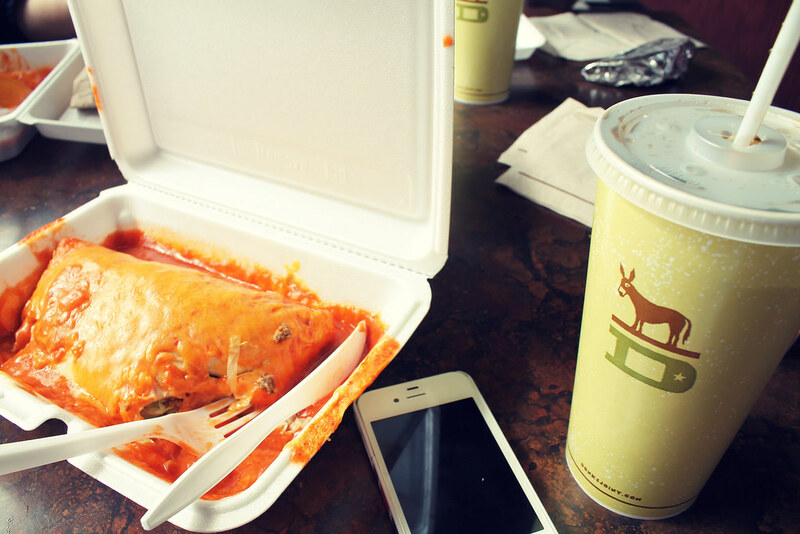 Don’t let the Styrofoam containers, and plastic silverware fool you. This food is amazing! My beef wet burrito definitely hit the spot. 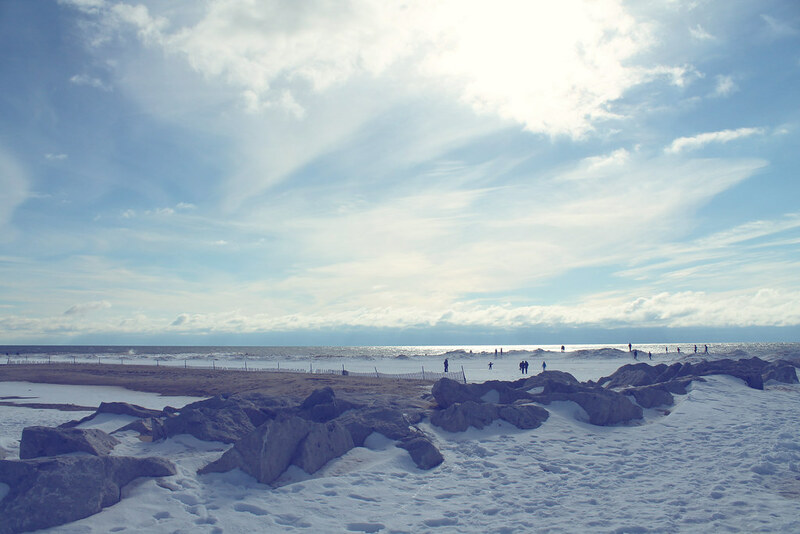 Upon arrival, I bundled up and made my way up the beach towards the water. I was surprised to see how the ice and snow accumulates at the lake shore making it dangerous to go to the edge of the ice. It was an awesome experience subtracting the ice cold wind hitting our faces. As you can tell, my outfit was not nearly as appropriate as it needed to be for the weather, and I regret it. 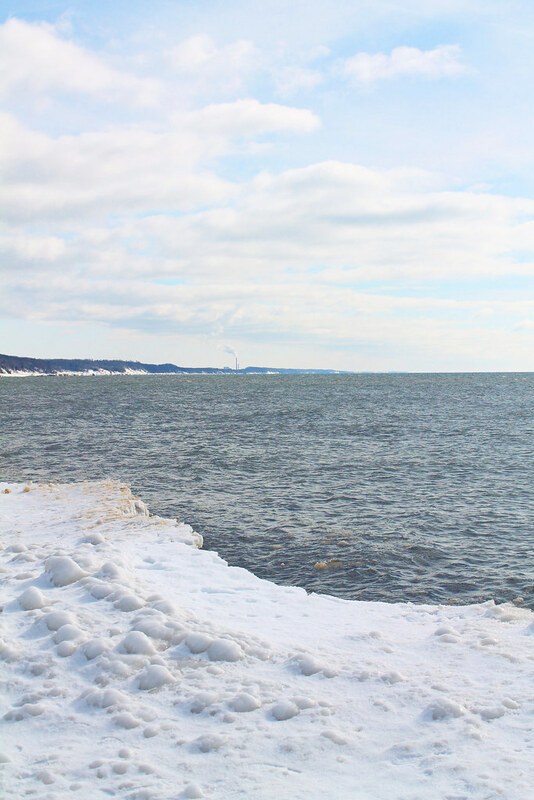 Looking off towards the pier, I noticed that the ice and snow was hanging over the edge of both sides of it. I knew it was dangerous but really wanted some shots so I braved the pier by myself. I only got this far before realizing that it was too dangerous to go any further, especially in the shoes I was wearing. All in all it was a pretty eventful day, and a worthwhile day trip to the lake shore. Though, I have realized that I definitely want Summer weather that I can spend at the beach and I want it now. I hope you all have great weeks readers! 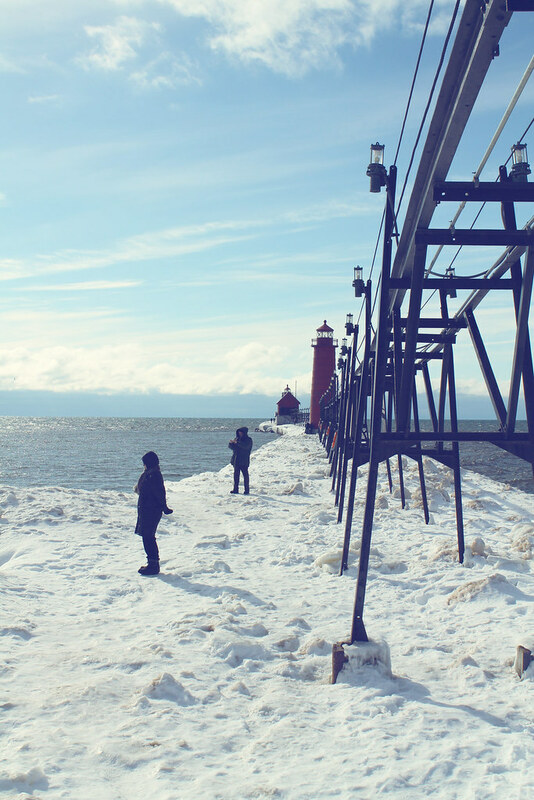 Try to find some time and get out to the lake shore if you haven’t yet this season. You will enjoy it, at least if you bundle up! One morning on my stay at the island, I took a walk along the boardwalk with some coffee. My attention was focused on the water, as boats went by and the waves crashed on the shore. My attention then turned to the houses as I left the downtown district and entered more lakefront cottages. 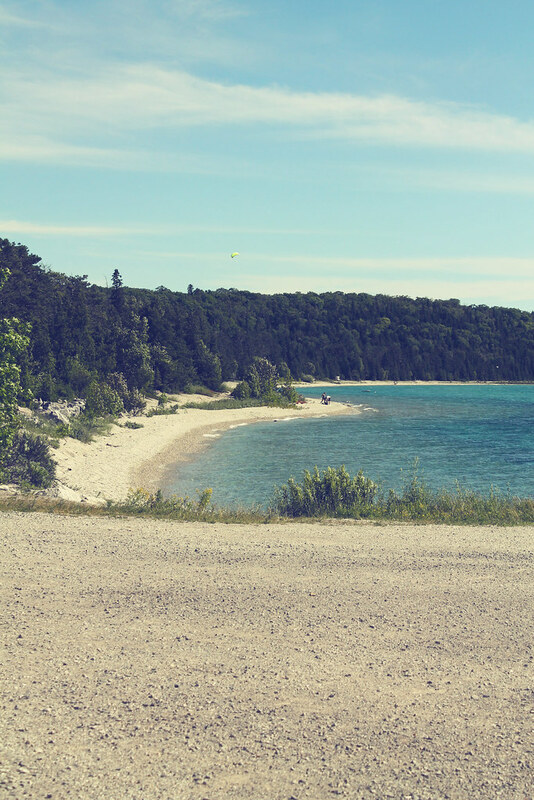 By the end of my walk, I added “Own a cottage on Mackinac Island” onto my list of lifetime dream list. 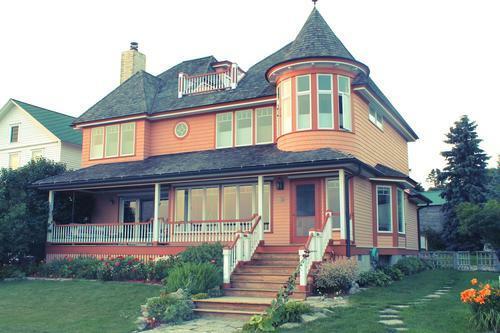 One of my favorites was this large orange cottage. Just from the exterior, it looked like a lot of work was put into this cottage. Some of my favorite features are the large windows in front, the “tower” in the corner of the home and the deck on the roof. The landscaping was also nice, which I would assume you would want to look nice knowing thousands of people bike ride past it a year. 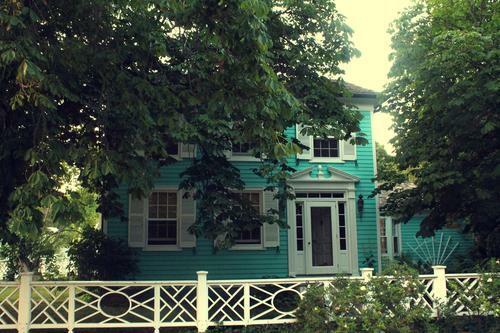 I just loved this house for the color and the door frame. Along with the windows too! Classic. With the trees it also seemed like that whoever lived there had privacy as well. Finally, the last that stuck out to me the most was this green cottage. The yard and design was simple, but again the color was a big thing, along with how the windows were so symmetric which I like in a house. Anyways, the amount of classic American style homes you find on this tiny island is incredible. The fun colorful array of homes as you bike into town just gives this island another quality to reflect! The amount of service when you approach the hotel is amazing. 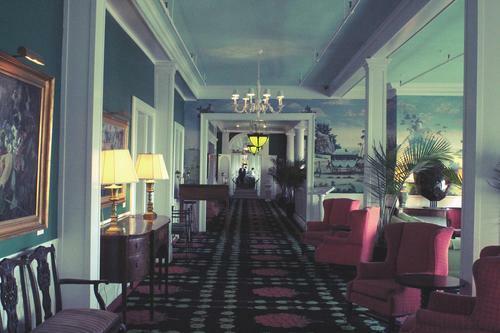 Bellhops, and assistance is always nearby. I felt rich already walking towards the hotel onto the main porch. Speaking of the porch, The amount of use it got was nice to see as well. 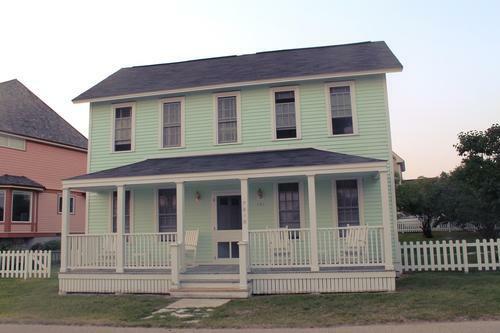 It really reminded me of old american style homes that you see in the movies. The balconies above give a nice touch as well. 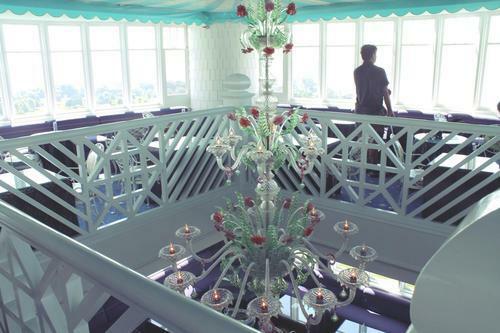 The icing on the cake of this hotel was literally on top. Up the elevator we went to the bar that overlooked the island, the bridge, and Lake Huron. The chandelier in the center that was over an opening to the floor below was very intruiging. I do not regret spending the time to walk the mile of path to see all of this glory. This hotel is not to be underestimated! 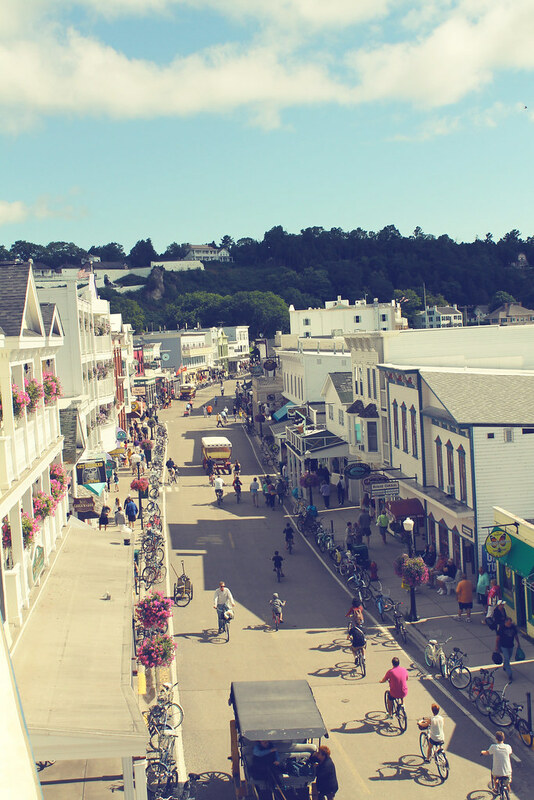 Anyways expect more Mackinac posts over the next few days! Have a wonderful week readers!